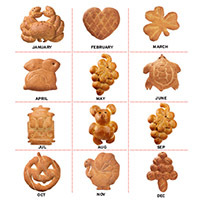 Only our most experienced bakers can create our charming seasonal loaves. And with such care in making them, they always look as good as they taste! 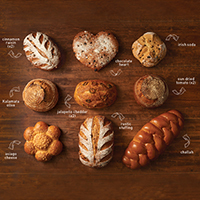 Join our seasonal bread club, and you or your recipient will receive two tangy 1 lb. 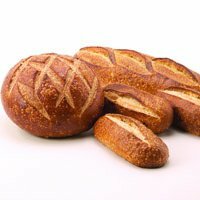 loaves a month for twelve months over the course of a year. * $22.95 plus S&H is per month! From Jason Olivares of Maxwell, California on 3/23/2018 . From Anonymous of Santa Clara, California on 1/19/2018 . From d4hearts of Stockton, California on 1/15/2018 . From Anonymous of Chino Hills, California on 12/22/2017 . This bread is the BEST!!! Simply amazing. From Stephanie Morgan of Highlands Ranch , Colorado on 10/13/2017 . From Heidi House of coatesville, Indiana on 8/20/2017 . From earix of Austin, Texas on 8/20/2017 . From Ann Johnson of Foley, Alabama on 8/12/2017 . From Anne Roche of Arleta, California on 7/15/2017 .